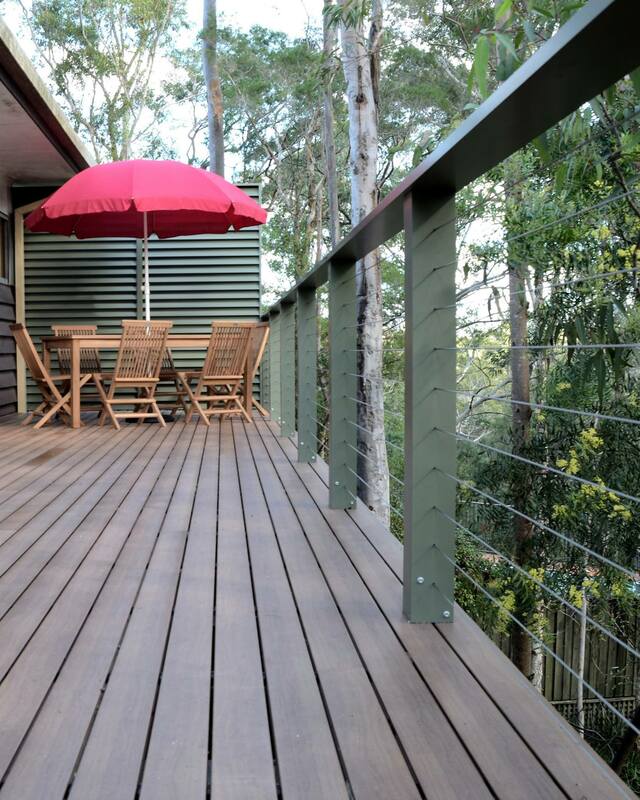 Having a deck not only adds value to a home, it gives you extra space for entertaining. 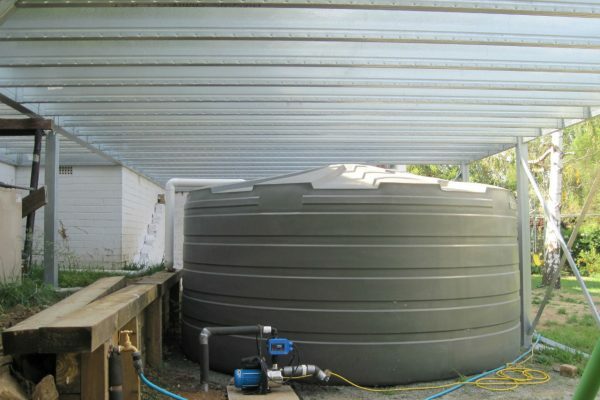 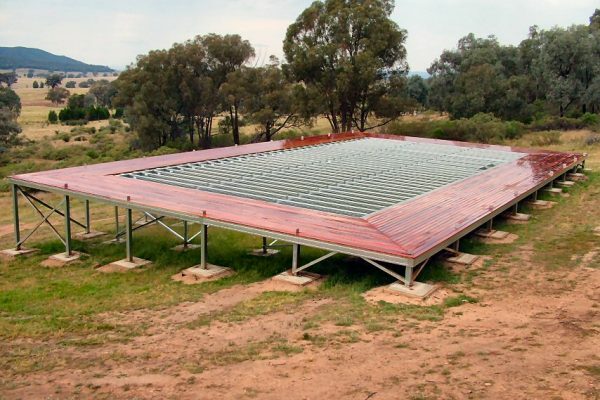 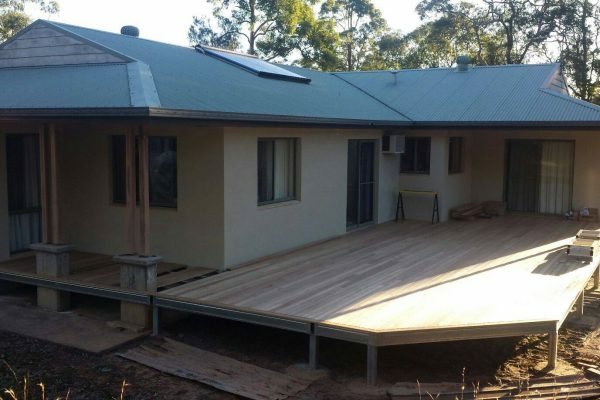 Boxspan is an ideal alternative to timber because there are no issues with rotting due to moisture or proximity to the ground. 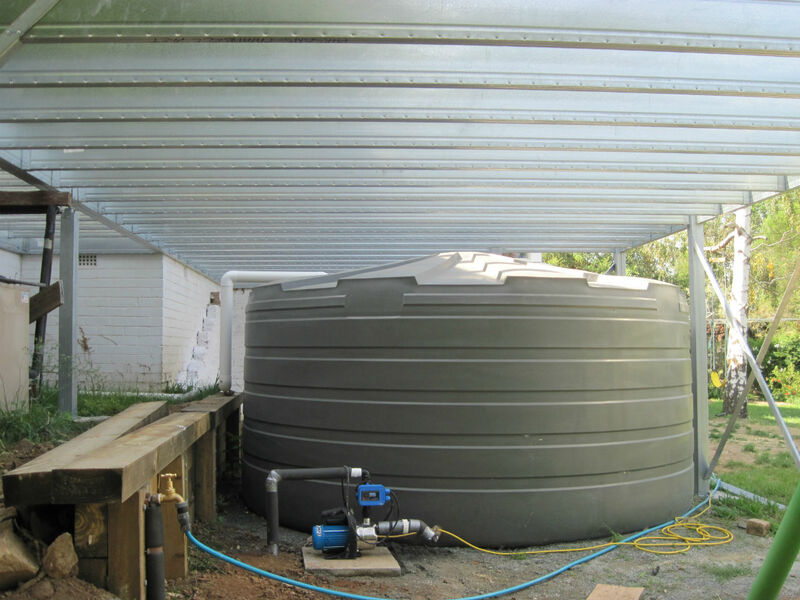 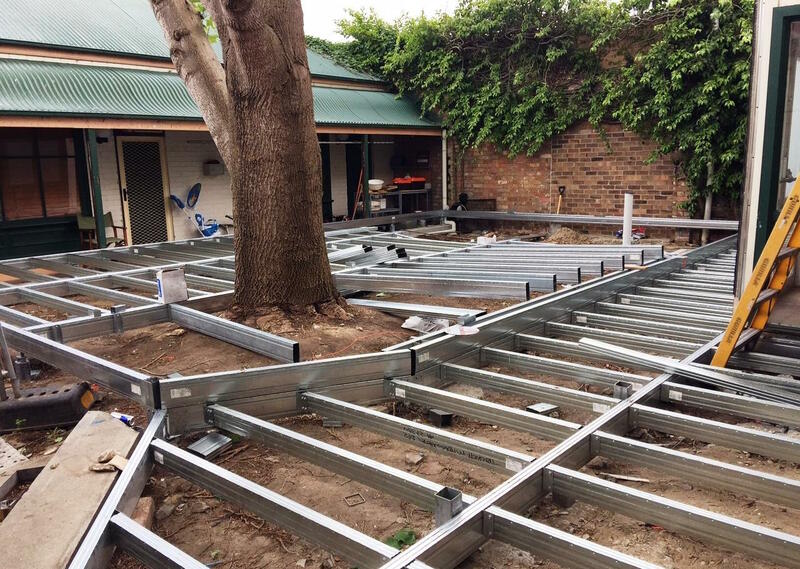 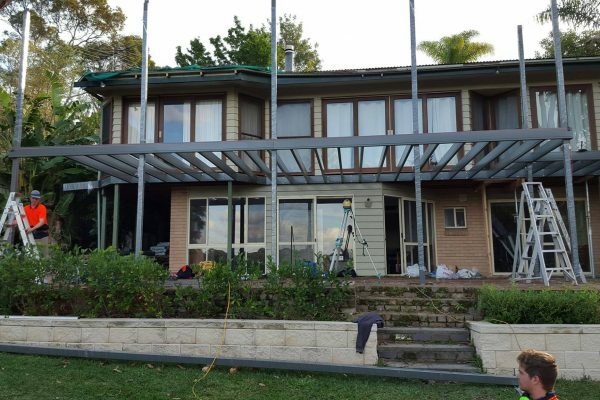 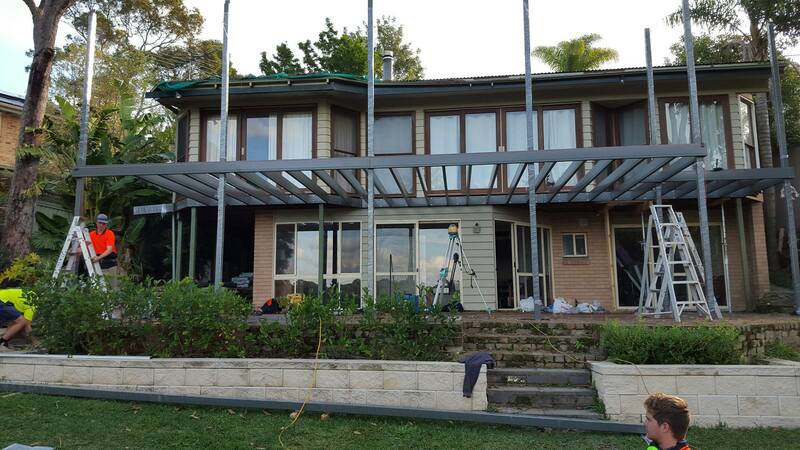 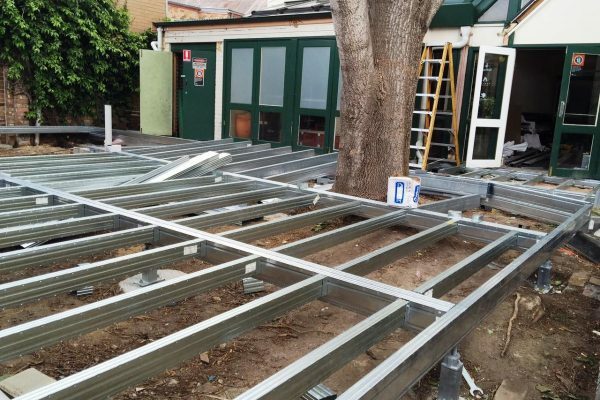 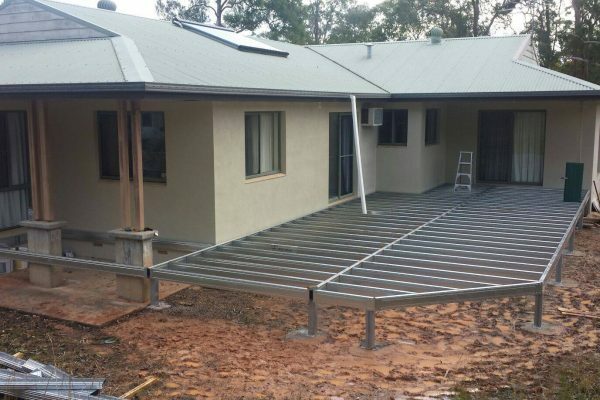 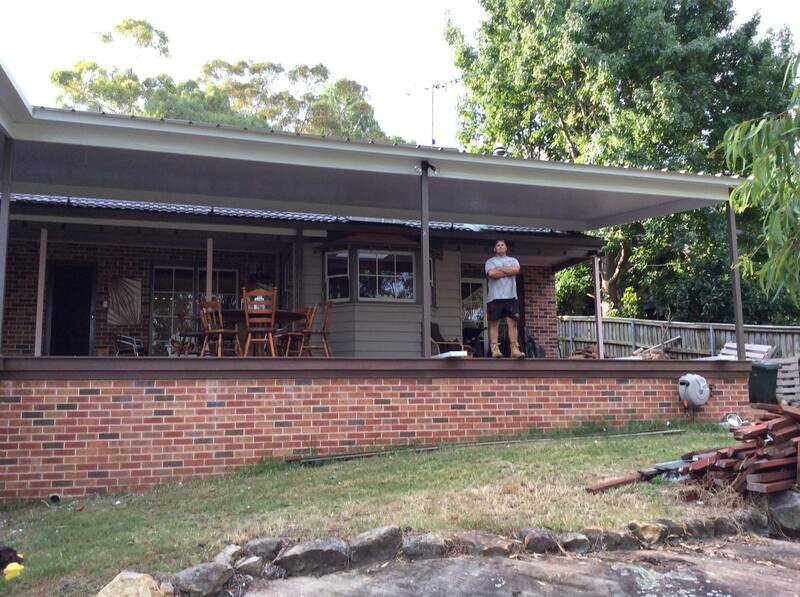 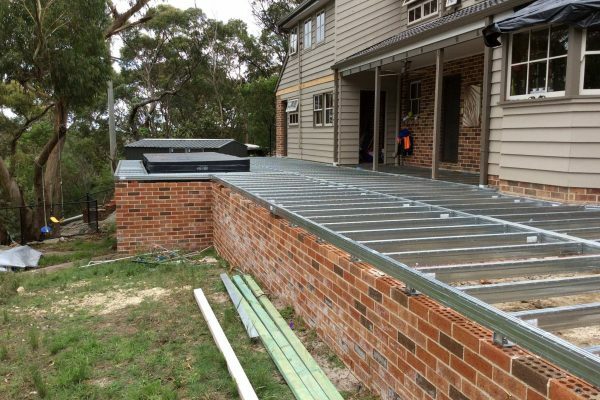 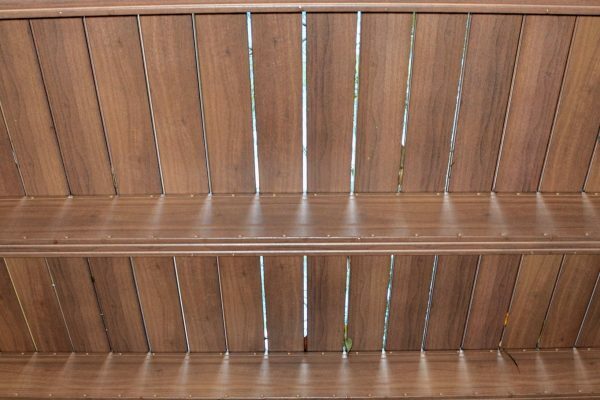 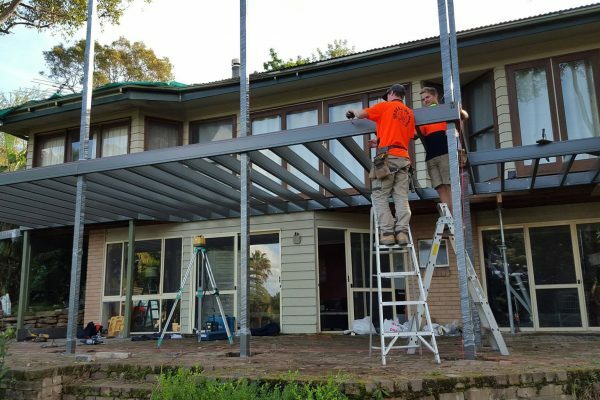 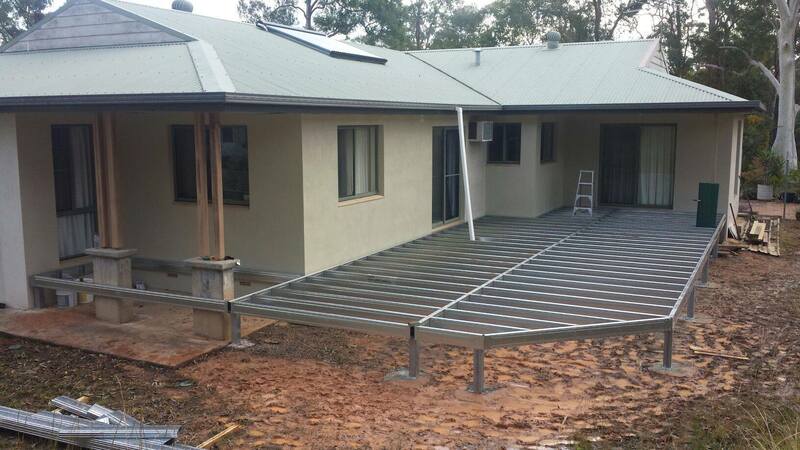 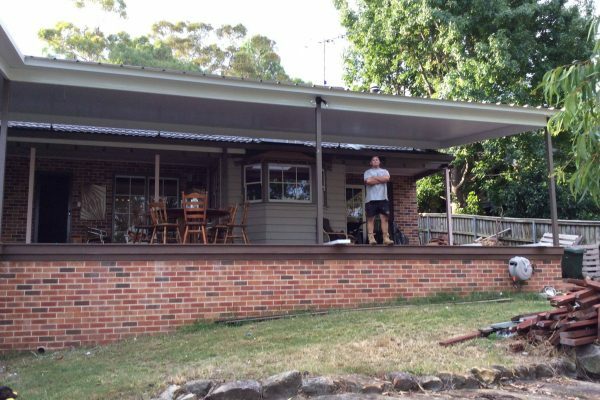 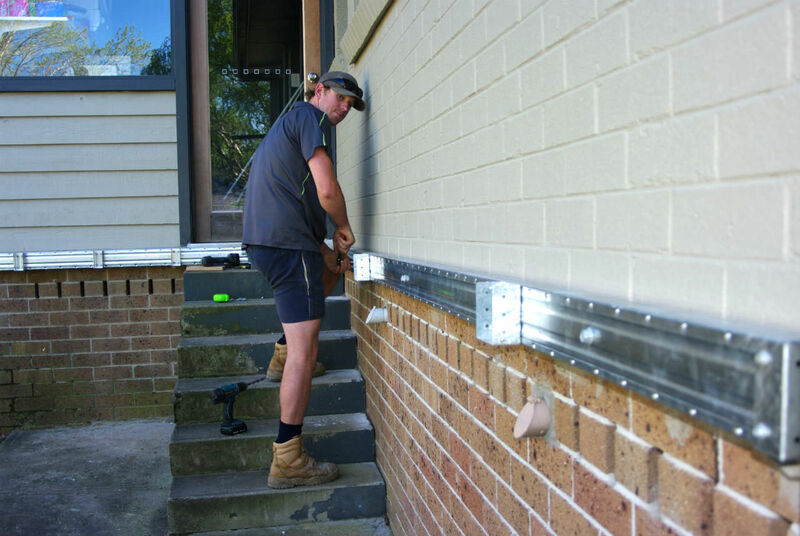 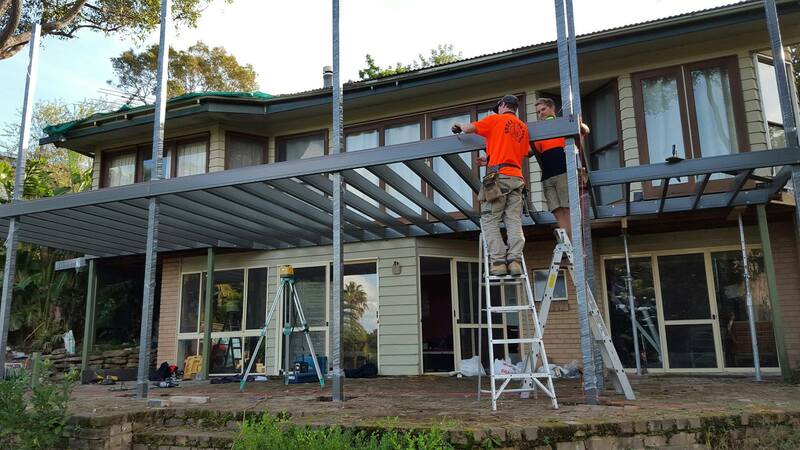 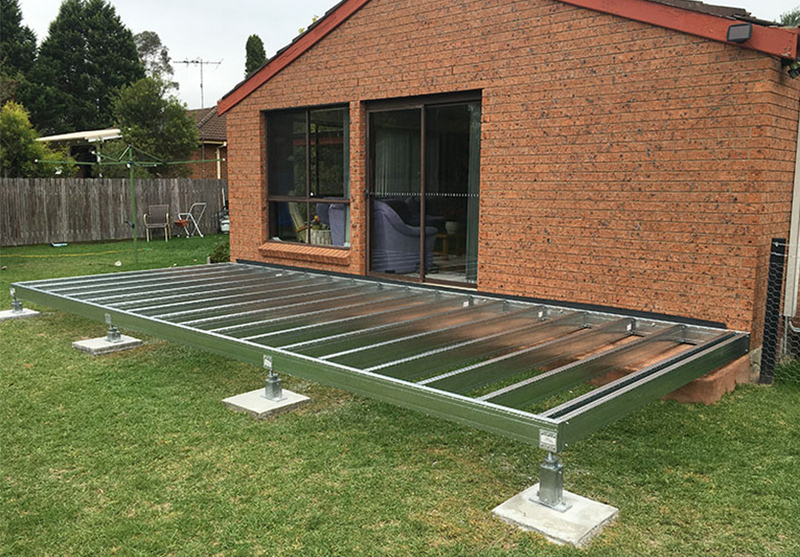 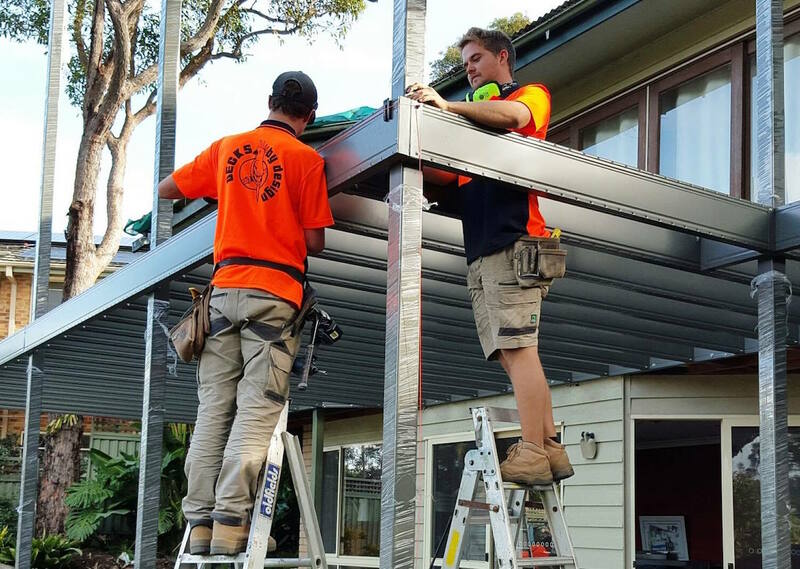 From a small weekend deck project to a large wrap around verandah installing a Boxspan deck system is an easy enjoyable process because it comes as a kit. 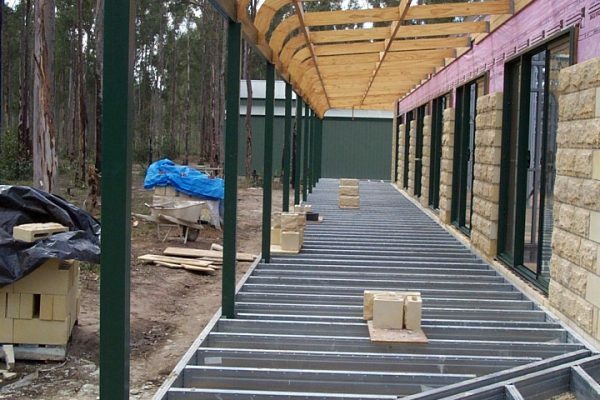 All bearers and joists are rolled to length as per dimensions confirmed on working drawings. 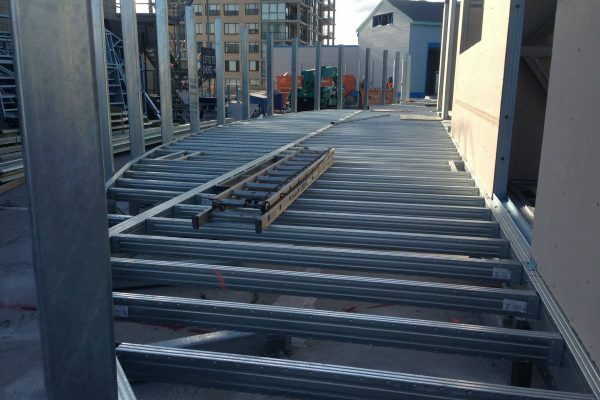 Bearers and joists are also numbered to correspond with drawings. 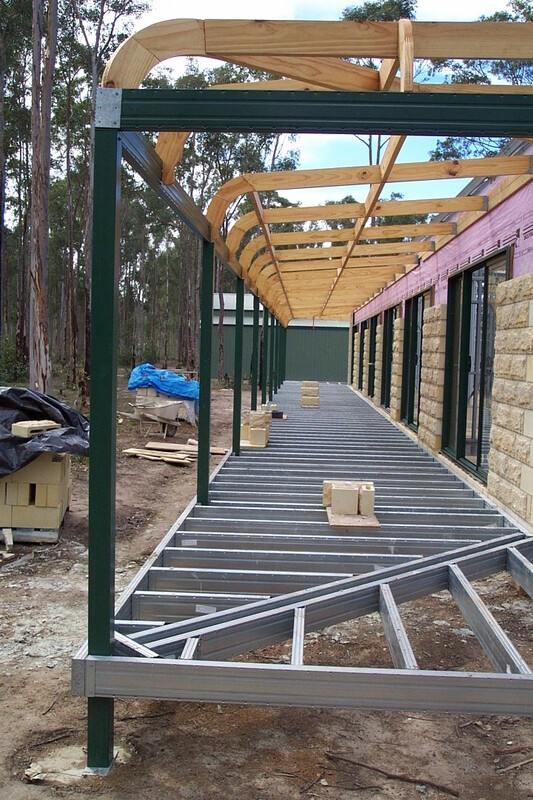 Boxspan Smart Bearers for the perimeter bearers and waling plates are marked up with joist numbers/ brackets printed on beams. 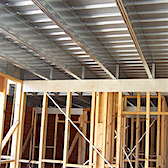 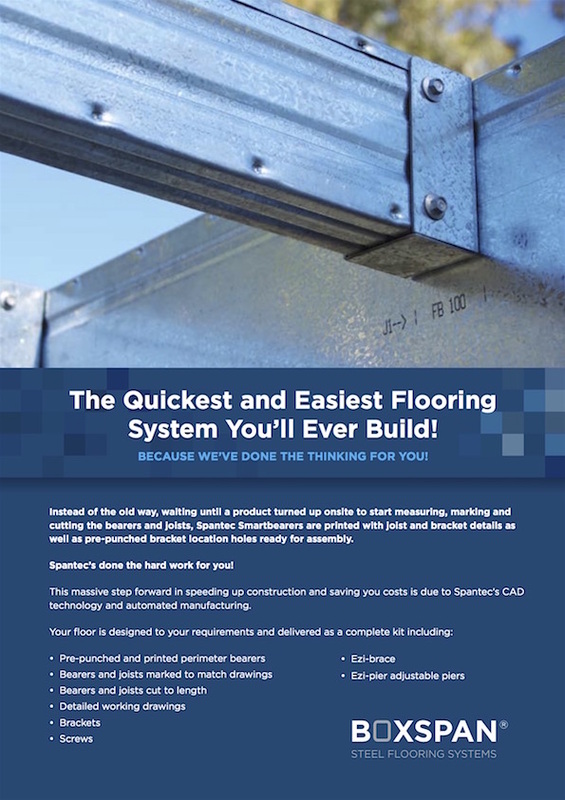 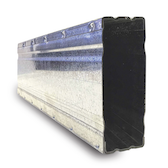 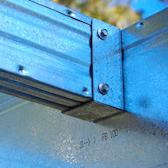 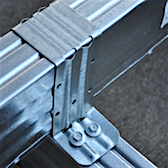 Beams are also pre-punched with locating screw holes for bracket connections. 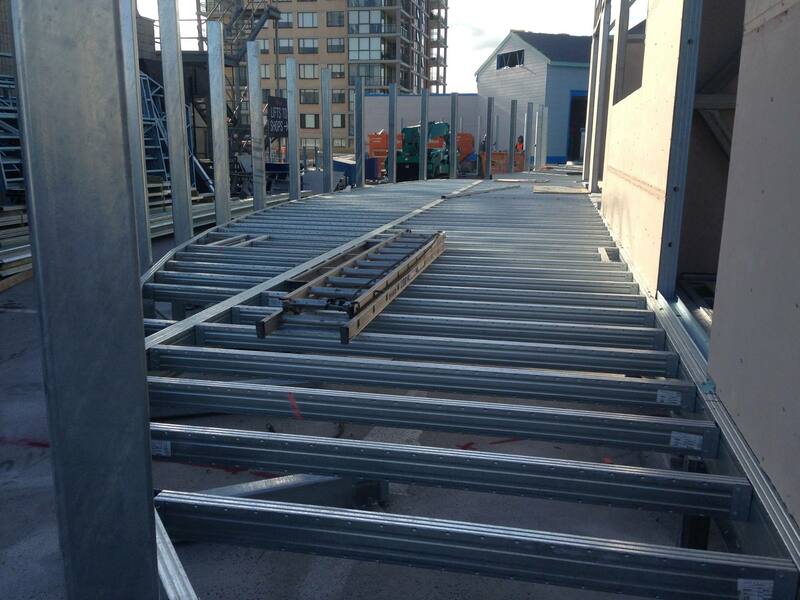 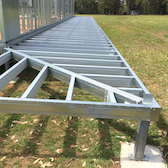 The frame is completed and supported with Ezipier adjustable piers or posts, and braced with Ezibrace if needed. 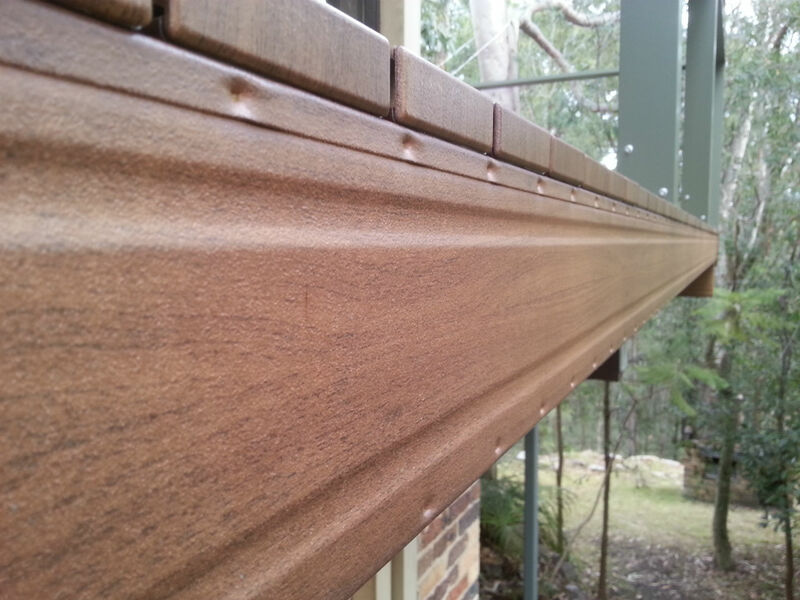 As Ezipier is designed to be flush to the bearer, you can continue with decking down the face of your deck or neatly finish with a fascia board for a neat safe finish. 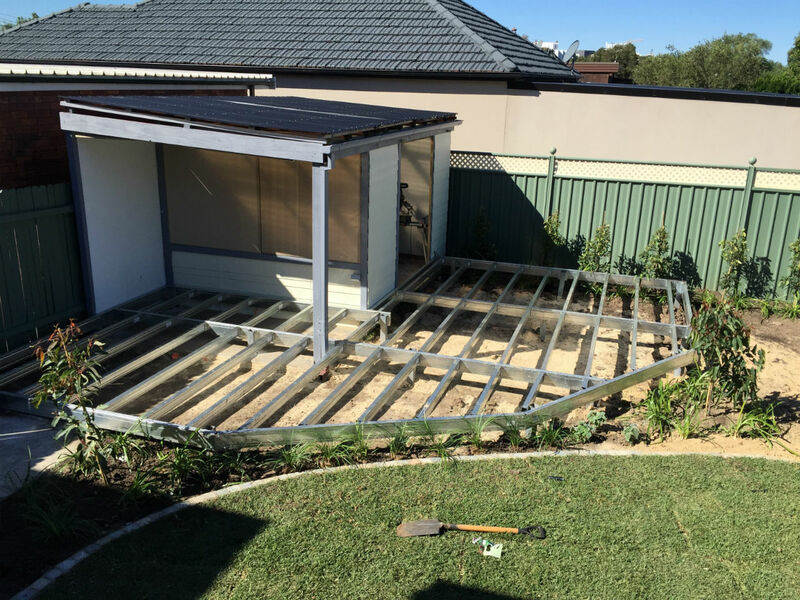 Boxspan decks and verandahs can be constructed like an upper floor (in-plane joists & bearers) or a ground floor system (joists over bearers). 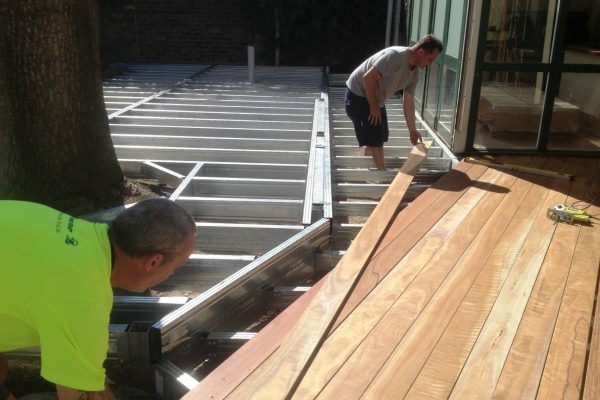 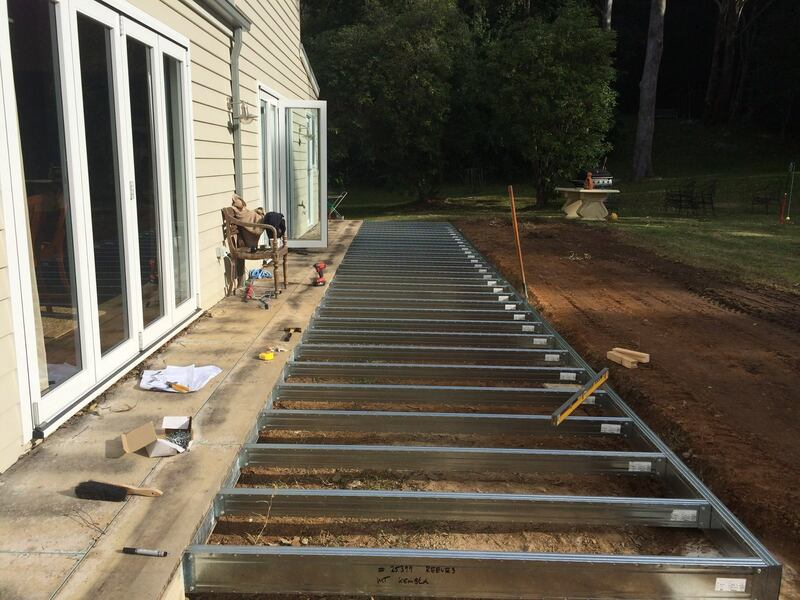 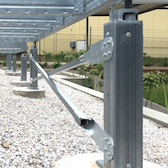 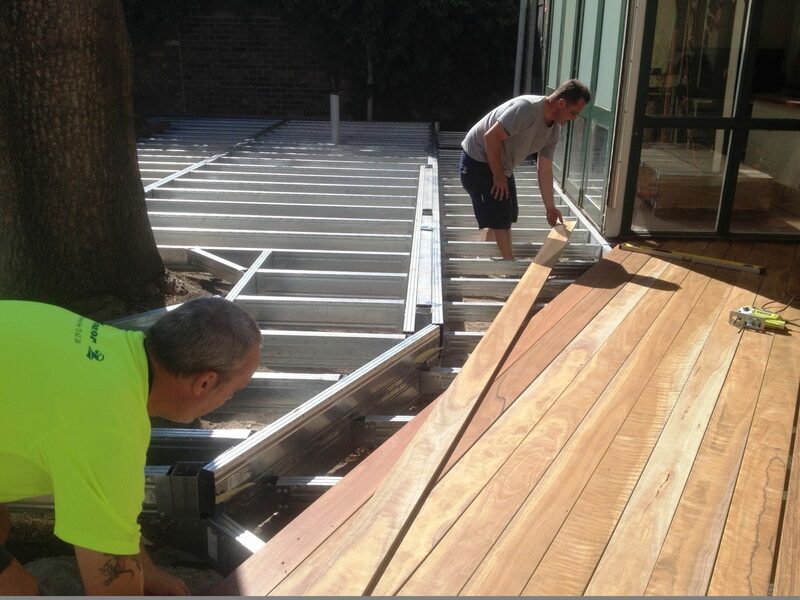 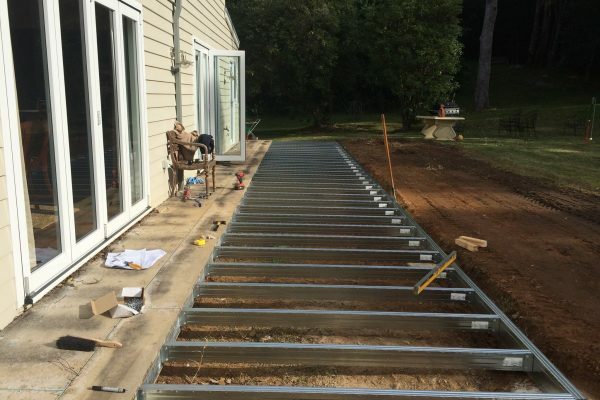 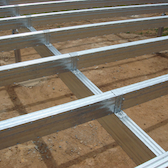 Typically the width of the deck and proximity to the ground will determine which is most cost effective. 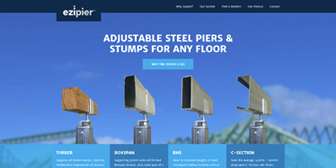 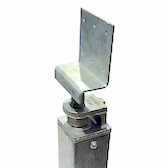 Bearers can either be supported by Ezipier with adjustable or fixed pier heads. 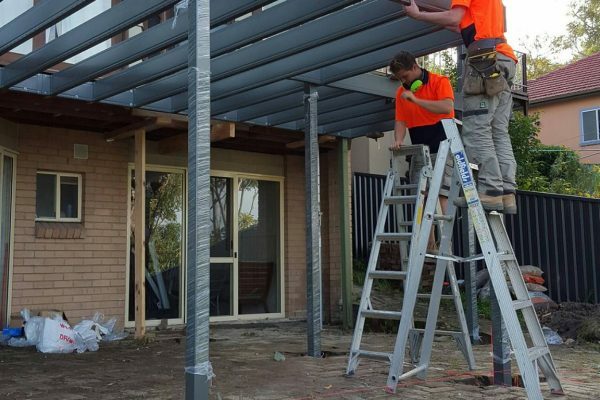 If posts are required for balustrading or to support the roof above they can either begin from deck level or run from ground to roof level. 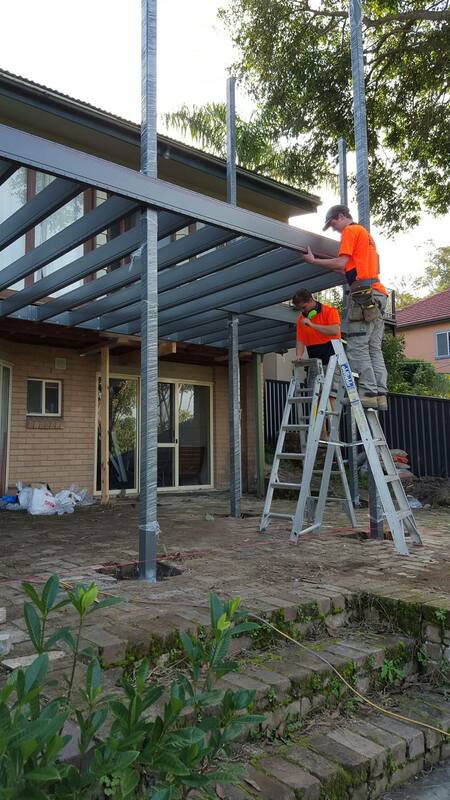 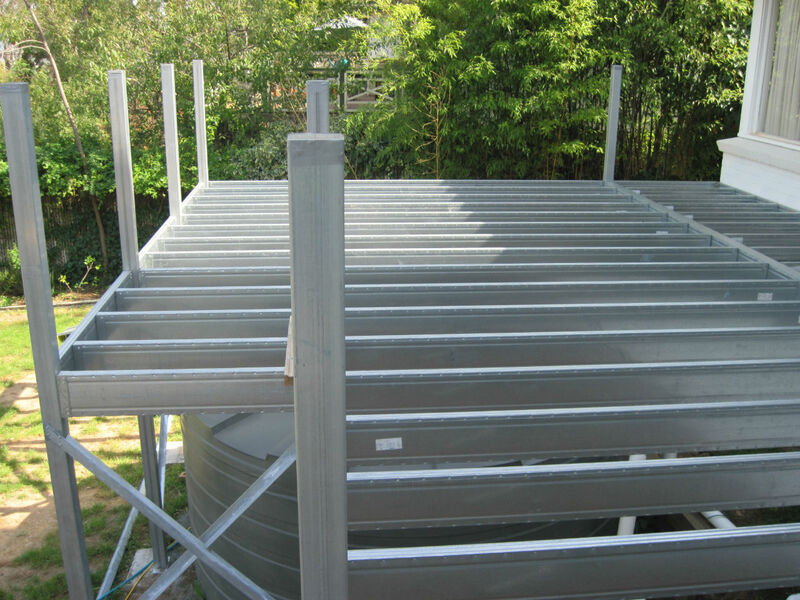 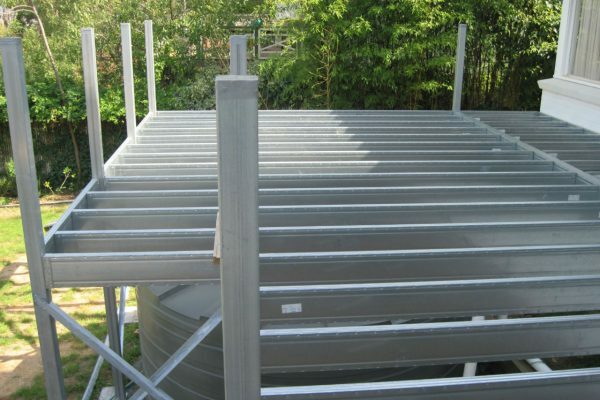 Both steel and timber posts will work with Boxspan deck frames. 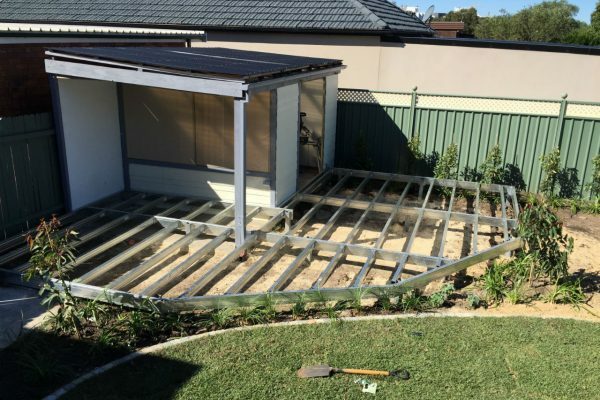 Screw fixing timber or composite decking boards into Boxspan joists is common place with a range of self tapping fasteners. 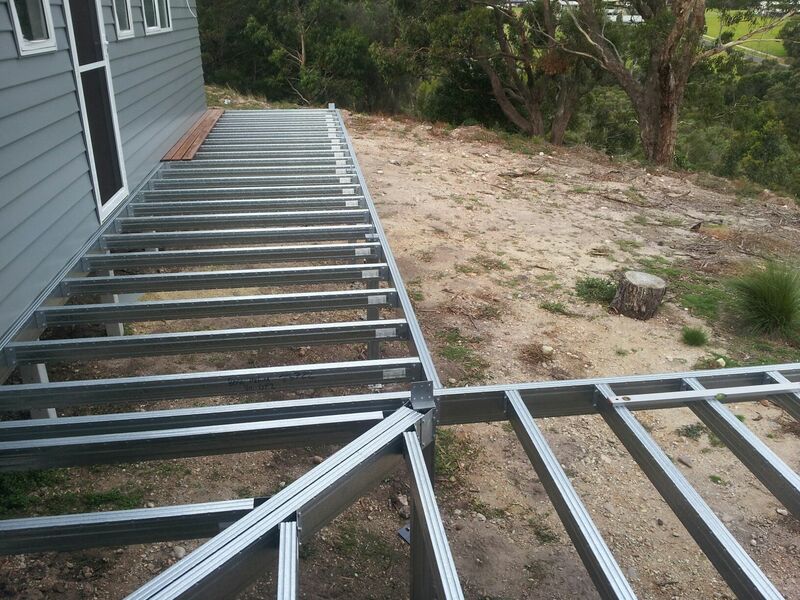 Is it timber or steel? 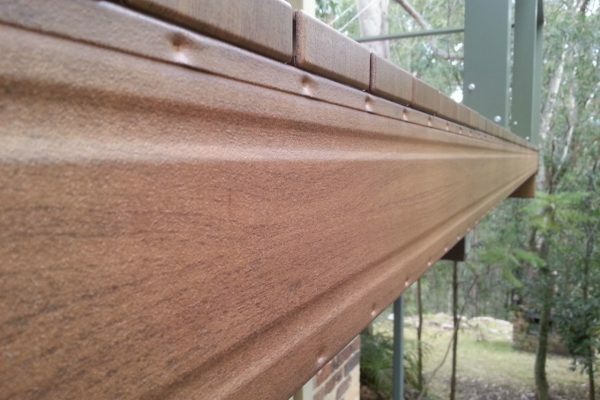 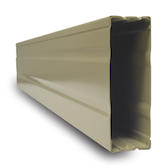 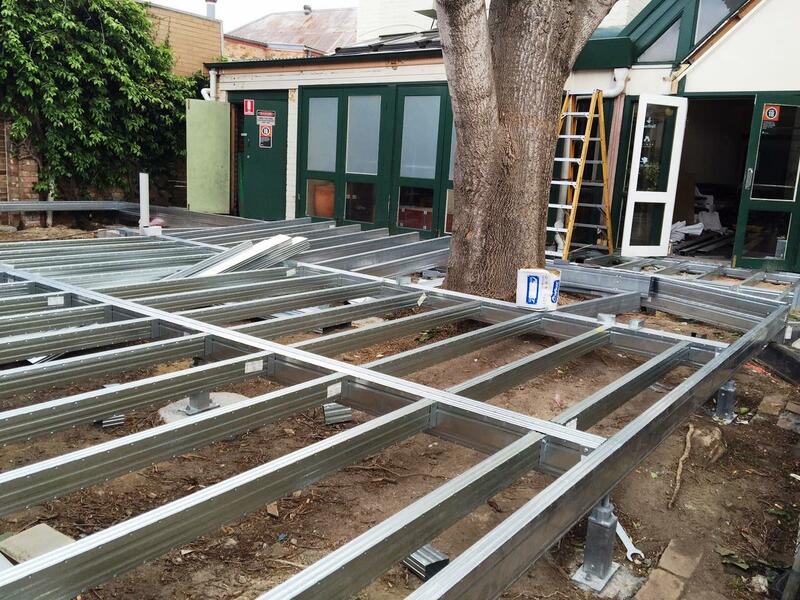 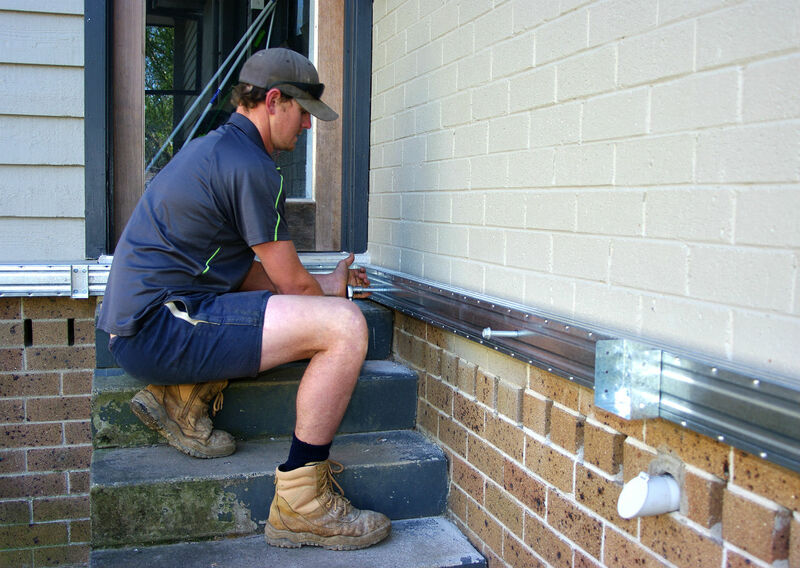 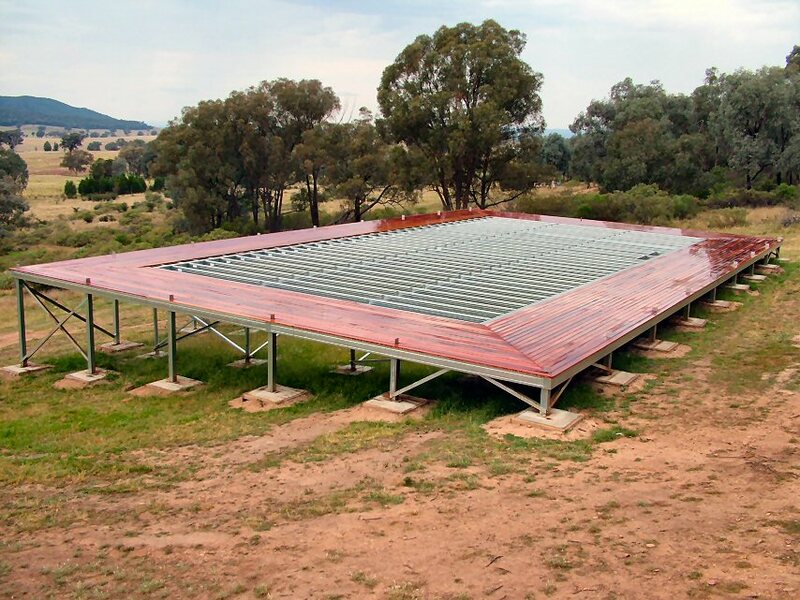 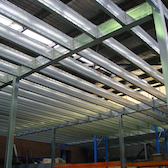 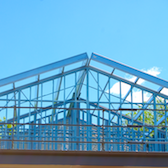 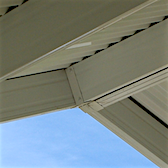 Boxspan beams can be powder coated to match Colorbond® colours. 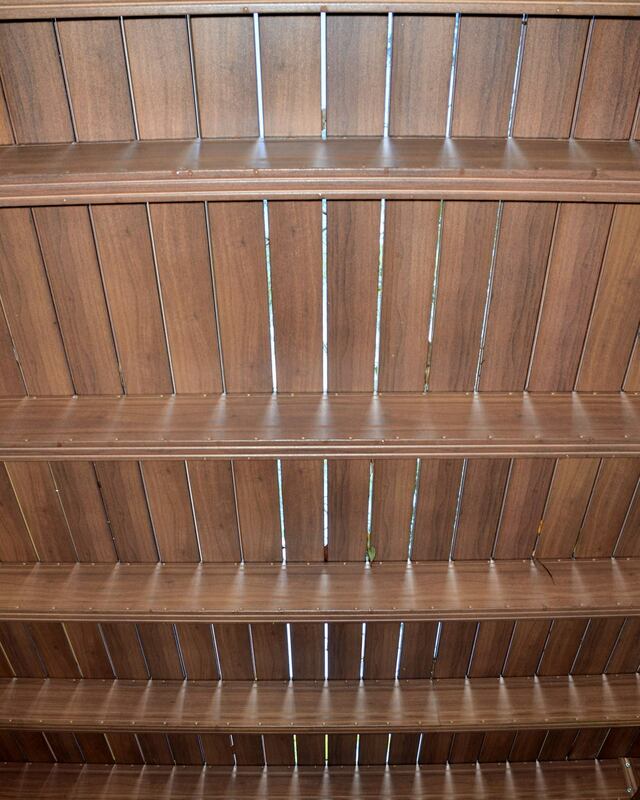 This can be ideal if they’re exposed and can be seen from underneath. 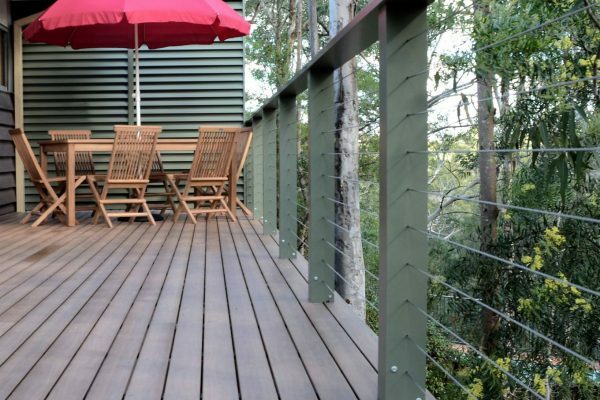 There are also a number of specialist coatings systems on the market that can match the coating to many other types of finishes such as matching beams to timber decking. 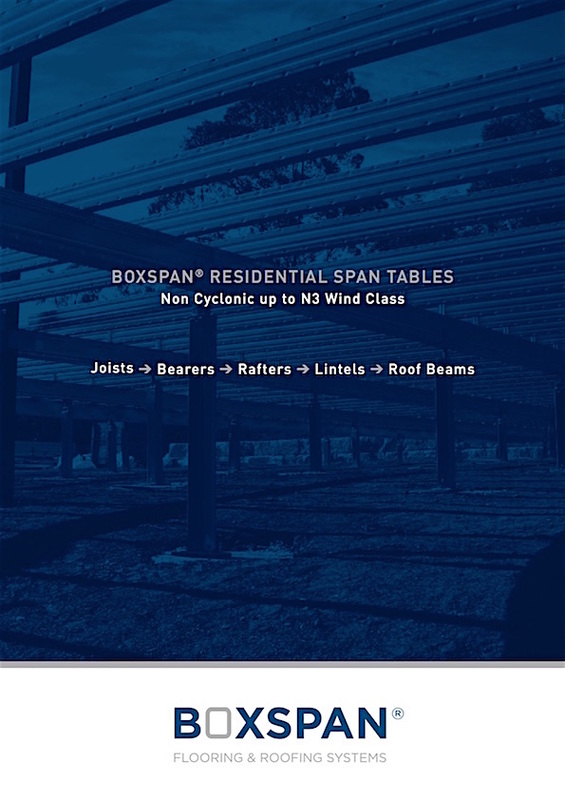 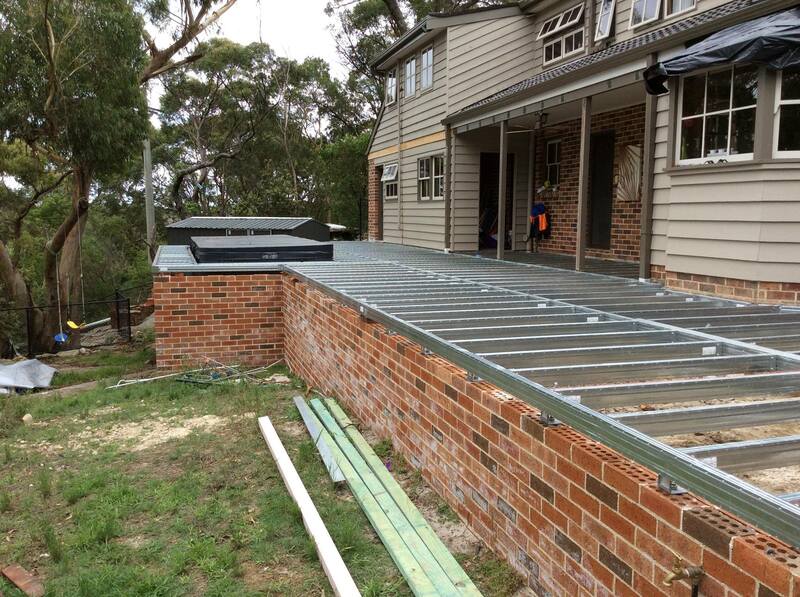 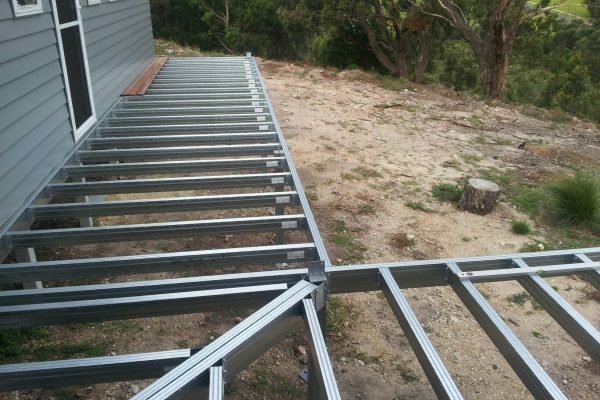 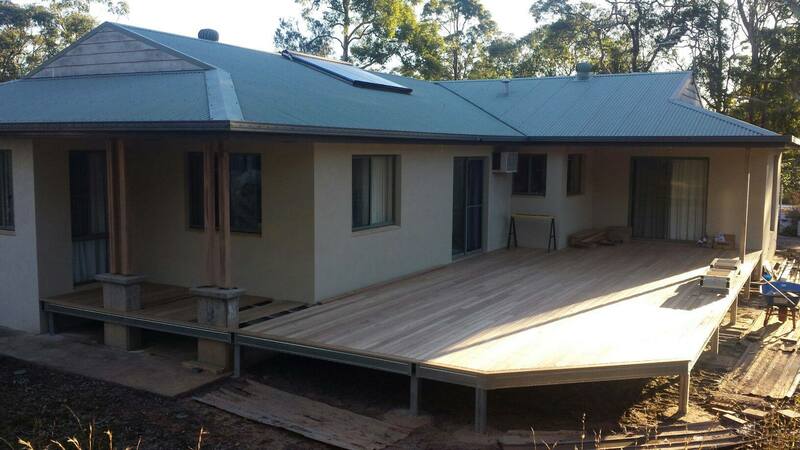 Watch video: Boxspan deck and verandah roof frame in bushfire prone area by home builder – 32 Degrees Building.